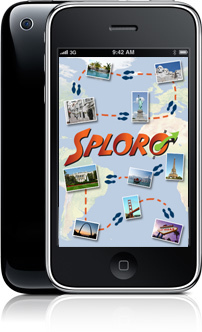 Sploro – Self-Guided Walking Tours | It's your world – go explore it! It's your world – go explore it! Want to discover something new and exciting? Across the world or in your own backyard, Sploro and the Sploro app are your ticket to new and fun experiences. Sploro is your home base for self-guided multi-media tours at destinations big and small. With Sploro, you will get the back-story, you’ll go behind the scenes, and you’ll learn secrets that only real insiders know. Whether you’re planning a trip to an exotic destination or you have an hour before your train leaves, Sploro’s self-guided tours can help you enjoy your time and enrich your life. The Sploro app is your gateway to a worldwide array of self-guided tours. Use the app to search for tours of all types and locations. We have put together collections of great self-guided content from the best tour guides around the world. Download the tour straight to your iPhone or iPod Touch. Start up the tour and your audio host will take you to each fun and interesting stop along the way. You’ll hear about history, facts and background that most tourists don’t know. And if you’re a local, you’re almost guaranteed to learn something new about your own backyard. Now download a tour and get out there! Is the Barcelona walking tour available for the IPOD Touch yet? Hi Pat, yes, the Barcelona tour is available for the iPod Touch as well as the iPhone and iPad. The name of the tour is “Tour of Barcelona’s Ramblas and Old Town”. And our newest tour that just became available today is a walking tour of Florence, Italy.